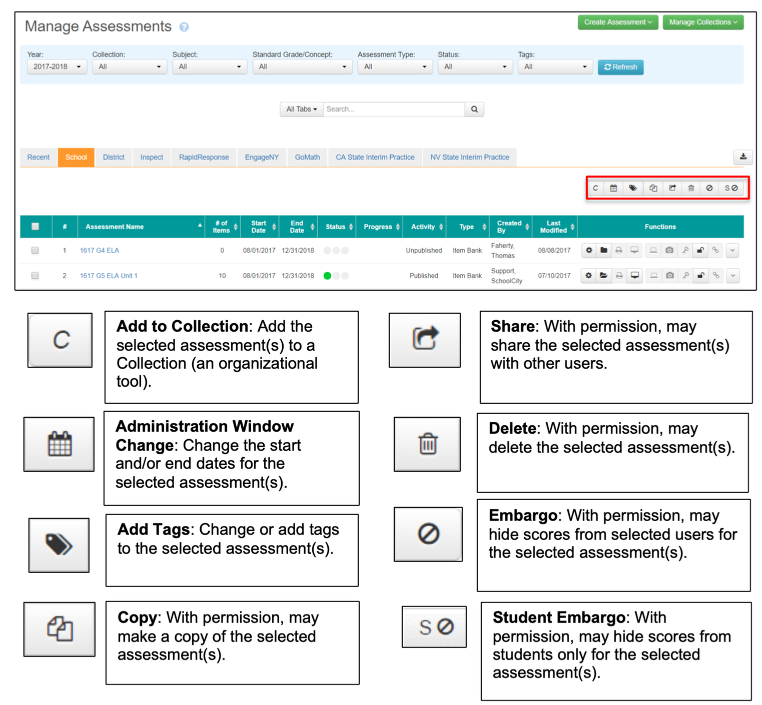 Once an assessment has been created, a variety of functions are available to allow users to govern existing assessments via the Assessment Manager. 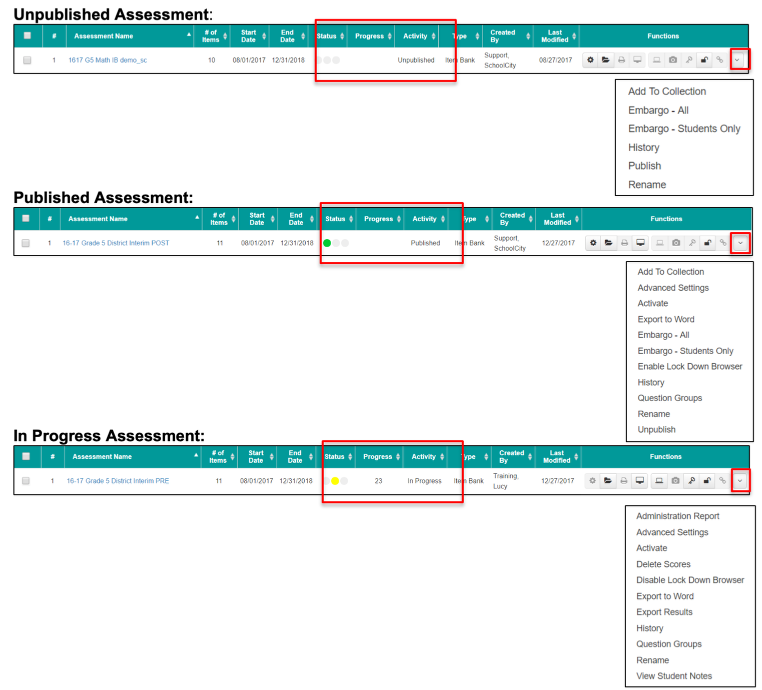 This document is an overview of the function buttons and menu items of the Assessment Manager for users with the School role in SchoolCity Suite. 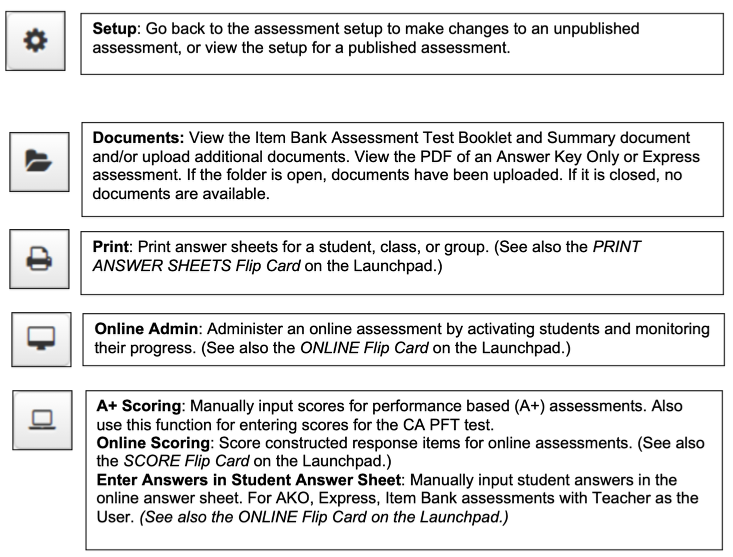 Click on the Assessment Name (in blue) to review the Assessment Summary which includes: School Year, Subject, Points possible, Answer Sheet Template (if scanning is selected in assessment setup), Method of Delivery, Administration Window, Answer Sheet Printing Start Date, and Item Details and Performance Level tabs. Each view may be downloaded to PDF and printed. 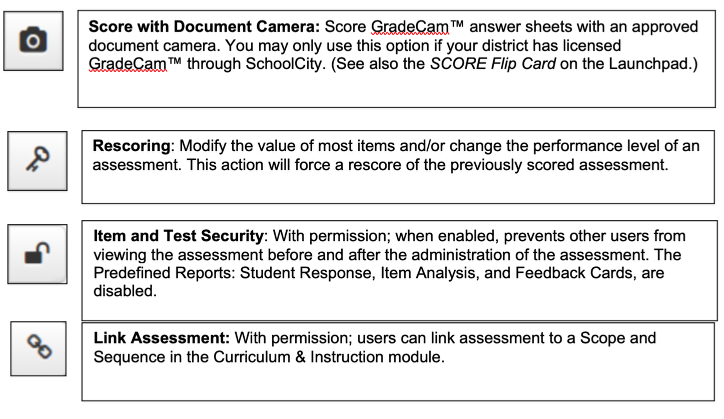 Activate: With permission, students can be activated for a published or an in progress assessment. Administration Report: Displays the number of students who have/have not taken the assessment by school, grade, teacher, and period. Scores can be deleted. 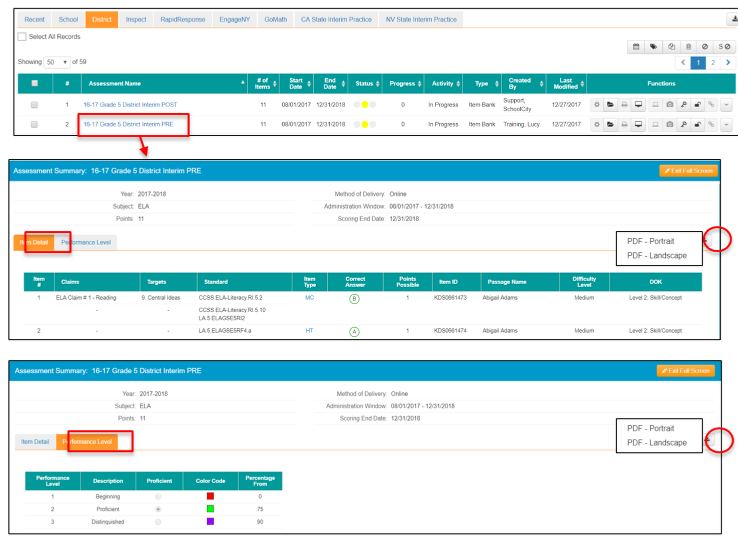 Lock Items: With permission, lock the items used on an item bank assessment which prevents other users from using the same items on future assessments.